A year ago I wrote some brief impressions on the variety of games I was trying to play as a way of offering my thoughts on them without going any further, thinking that once I wasn't so overwhelmed I would be able to return to them with a more focused perspective and discuss them thoroughly here. Clearly, save for a few titles, that didn't really happen and all those posts ended up being was filler while I was trying to deal with my situation. I disliked that idea and regret the lack of exposition, but it was necessary at the time. Despite all of this, my intention was always to take a brief look at each game I play, offering my initial thoughts about the title before writing about it properly once I had finished it. My post on Uncharted 2 is perhaps the best example of what I want to do with these brief looks but, obviously, I'm yet to write about that game due to wanting to cover the original game first (which by the way, I haven't finished doing). So it begins with another game I have been playing lately, Yakuza on the PlayStation 2. My interest in the Yakuza series is inspired by other people's opinions on the game. Everything I've heard over the past couple of years, particularly about Yakuza 2, has piqued my curiosity and with the purchase of the original Yakuza, I can finally see what all the fuss is about. The first thing that surprised me about this game is its combat. The moves you can perform aren't anything I haven't seen from other games, but what impressed me was how relatively simple and accessible it is. With the press of just a few buttons I can knock an enemy to the ground, giving me the advantage to continue pummeling him while he's lying there in agony; attack him as soon as he starts to get back up; retrieve a weapon (example: a sign post) for extra assistance; or, in the case of multiple opponents, turn around and focus on someone else. This makes the various fights with the game's enemies rather easy and if there is any challenge to be had, it's derived from the game's poor camera as opposed to enemy difficulty, which is disappointing but arguably expected from such an old game. For now it's something I can overlook, but it can be frustrating at times. Aside from that, the frequency of combat situations is already starting to grate which is a shame given the fact I'm still in the initial hours of the game. Luckily the characters and narrative are compelling enough to keep me playing, which is partly the reason I was interested in Yakuza in the first place. Despite the abundance of fights, the game appears to be telling a mature story that isn't told with over the top dramatics or unnecessary humour. The characters so far are a mixed bag, with the key ones maintaining my interest and a lot of the others, particularly the various clan leaders, all going over my head. I'm not sure if it's my lack of insight into Japanese culture or their reasonably similar names, but I am finding myself confused at times when some characters are being discussed in conversation and I'd be lying if I didn't say that it was affecting my experience of the game somewhat. It's a little niggle that I might overcome as I continue playing and familiarize myself more with it's tale, but for now it's something I feel warrants mentioning. Speaking of culture, that's the other main reason I'm interested in Yakuza. I'm curious to see if it can teach me about Japanese culture, or at least elements of it, during my time with the game. 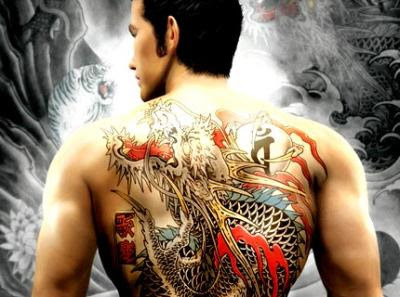 Part of the reason I enjoy a good story is because of how they can provide insight into something I might otherwise not be aware of, and Yakuza seems a good a place as any when it comes to learning about a lifestyle that is very different to my own. Whether it succeeds in providing this insight remains to be seen, but regardless of the outcome it will certainly be an interesting experience.